How’s this for a mixed drink idea? Take one beer maker with sluggish sales looking to broaden its product offerings. Stir in a coffee and soda company hoping to shake things up. Add liquor. 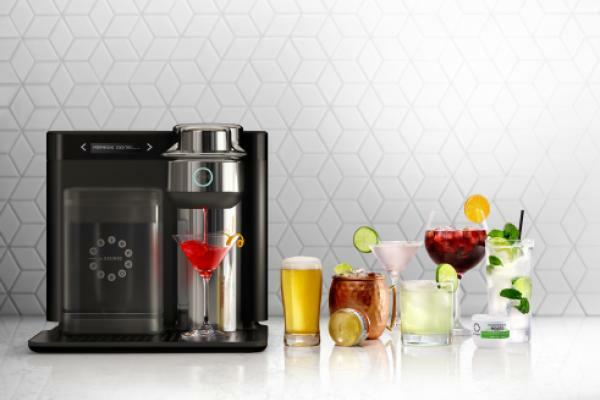 Keurig Dr. Pepper Inc (NYSE: KDP) and Anheuser Busch InBev NV (NYSE: BUD) are trying to concoct some sales through a joint venture selling pod-based cocktails and the machines to brew them, similar to Keurig’s pod coffee makers. The Wall Street Journal reported Tuesday that a trial of the idea that’s been going in St. Louis seems to have worked, at least enough to broaden it. The joint venture, called Drinkworks, will roll out to other markets in Missouri, Florida and California, WSJ said. You’ve likely seen K-cup coffee machines from Keurig, and the single-serving pods they use. The Drinkworks Home Bar is similar, but instead of Keurig’s “Donut Shop Extra Bold” or “Green Mountain Breakfast Blend,” it shoots out a Mojito, a Moscow Mule or some other cocktail. Both Keurig and AB, which makes Budweiser, need a jolt. Keurig last month reported fourth-quarter sales growth, but missed Street estimates. It also reported sales of its countertop coffee makers were down slightly, though the company said it’s because the machines are lasting longer. Budweiser has seen flat sales, and is looking to move into other products, from cannabis-infused beverages to canned mixed drinks. Macquarie Research noted Tuesday after the firm’s MQ Consumer Conference that some of these innovations, including a hard tea and Bud Light Orange, brewed with orange peels, are doing well. Macquarie’s Caroline Levy reiterated a Neutral rating on AB InBev with an $84 price target. And while Levy didn’t comment on the AB-Keurig joint venture, she reiterated an Outperform rating with a $30 price target on Keurig Dr. Pepper, noting management confidence in earnings and revenue guidance and an expectation of building synergies and efficiencies from the recent merger of the coffee and soda companies. Shares of AB InBev closed up 2.2 percent to $83.87. Keurig Dr. Pepper was down 1.1 percent at $27.50.